NEW! 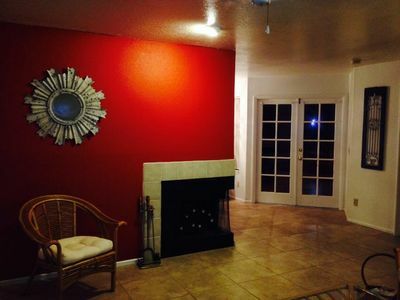 Tucson Home by Mountains, U of A & Downtown! 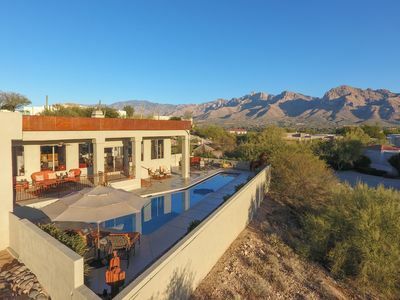 The perfect Arizona escape awaits you at this 4-bedroom, 2-bath vacation rental home in the Santa Catalina Estates in the foothills of Tucson. Dive in and cool off with a dip in the private pool or unwind indoors and enjoy all the comforts of home. Spend downtime playing pool, streaming favorites on Netflix, or dining on the patio. Venture to downtown for shopping and dining. 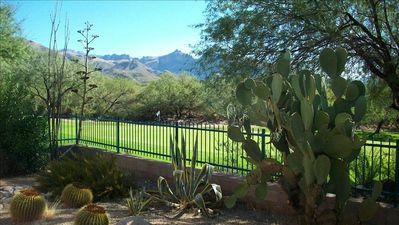 You'll find numerous golf courses as well as hiking and biking trails to make the most of the beautiful surroundings! A charismatic brick exterior greets you upon arrival at your Tuscon home-away-from-home. There's parking for up to 4 cars in the driveway so you can unload your bags with ease. 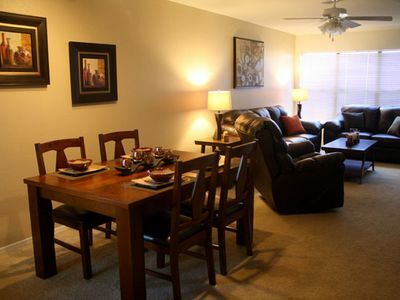 An immaculate and well-appointed living space awaits you inside the home. 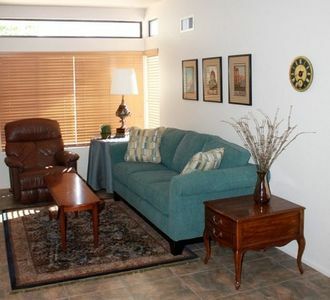 Look forward to sinking into the leather sofa and starting a movie on the flat-screen TV after a day spent exploring. Before dinner, challenge your companions to some pool in the game room. 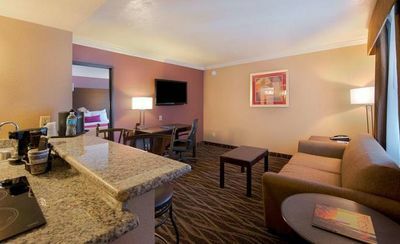 The room also features a flat-screen cable TV and a sound bar - perfect for entertaining. 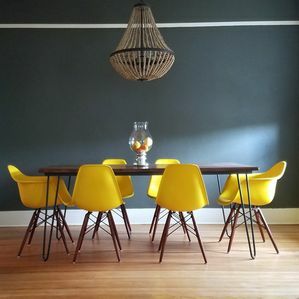 You'll savor family time around the dining table complete with 6 seats. Additional guests can grab a spot at the bar top with seating for 4. 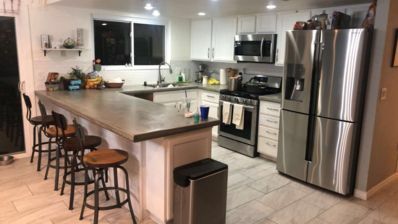 The fully equipped kitchen is finished with stainless steel appliances and counter space. 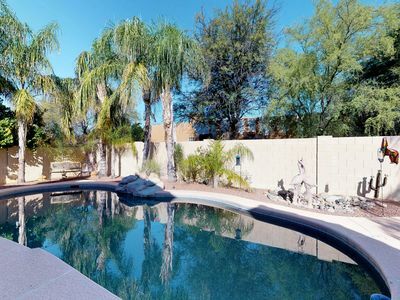 The backyard is sure to be a favorite hangout for everyone, where you can cool off in the pool, cook up dinner on the gas grill, or sip a nightcap by the heat lamp on chilly evenings. Choose a peaceful bedroom to rest up for the next day. 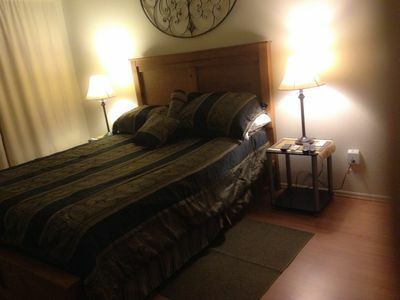 The master suite has an adjustable bed, 2 separate closets, and a sitting room with space for an infant crib. 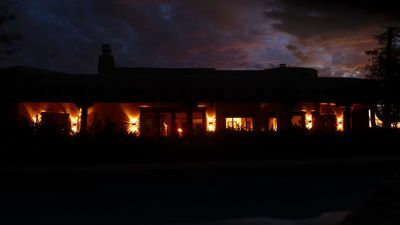 Inside the home, you'll find a number of Tucson and Arizona travel guides, and you'll be situated in the perfect spot to experience it all. 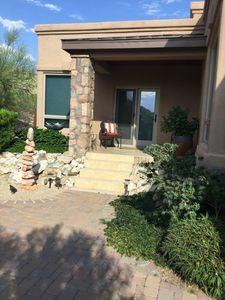 Nestled at the base of the Catalina Mountains, this picturesque location is centrally located with most activities and attractions within a 20-minute drive. 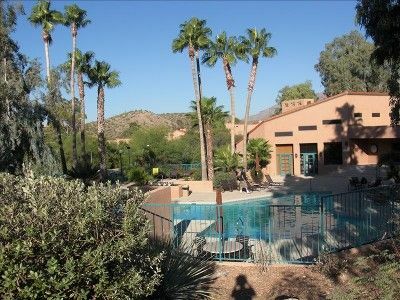 Find 2 premier golf courses nearby, as well as numerous resorts, casinos, the San Xavier Mission, Old Tucson, Mt. 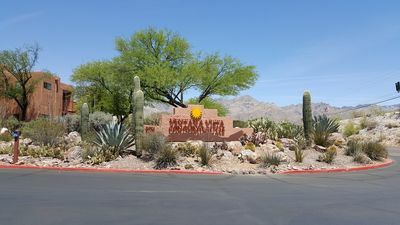 Lemon, and the Sahuaro National Monument. The river trail is just down the hill for excellent hiking, biking, running or walking. 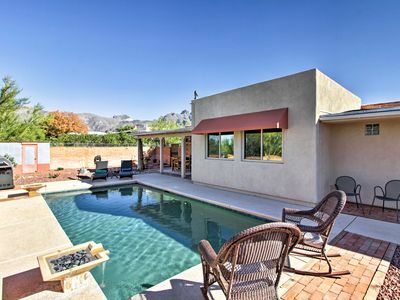 Stroll along the paved path through the heart of Tucson for more leisurely activity. Downtown offers plenty of shopping, dining, breweries, and exhibits - within 10 minutes of the home! 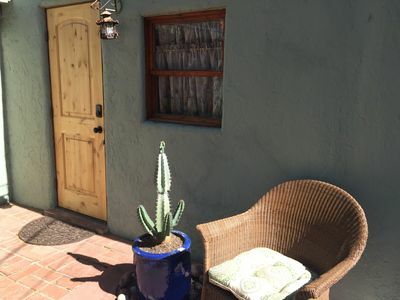 1st Floor Large 2 Bedrm with Easy Access - Mountain Views!!! 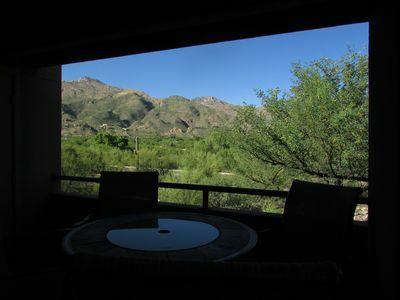 Amazing Mountain Views from this 2nd Floor Large 2 Bedroom in Ventana Canyon! 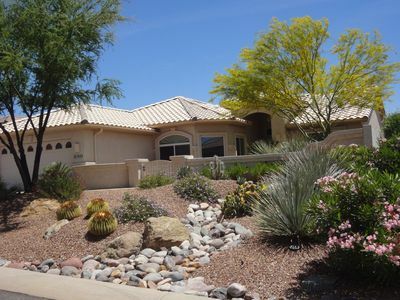 Classic, dog-friendly home w/ landscaped backyard, private pool, hot tub! 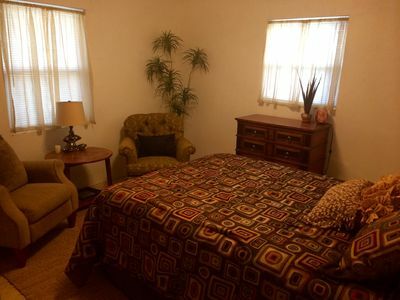 First floor condo with shared pools and hot tub! Dogs ok.
Desert Sun! 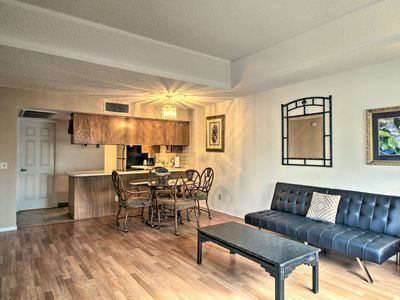 Top Floor Condo that will refresh you & leave you lasting memories. 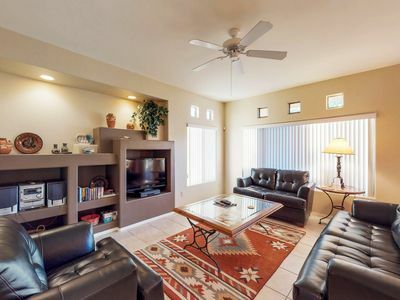 Desert Home less than 5 minutes from Starr Pass and 3 miles away from Downtown.